Click click click. 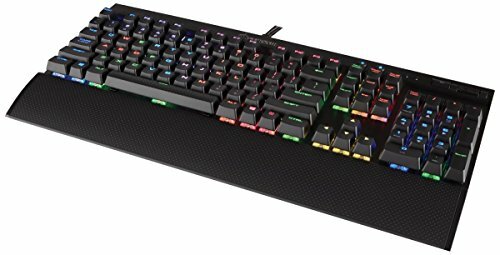 The k70 rapid fire is definitely a great gaming keyboard. Its leds are good, the keys are nice to press, and they make a good noise too. 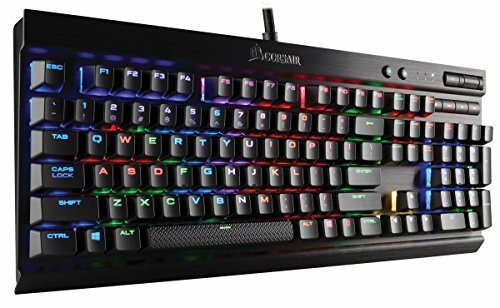 I have a Corsair Vengeance keyboard and she loved getting to use it, so she wanted one of her own with RGB. Such as Nice Keyboard, Shame about the Price Tag! 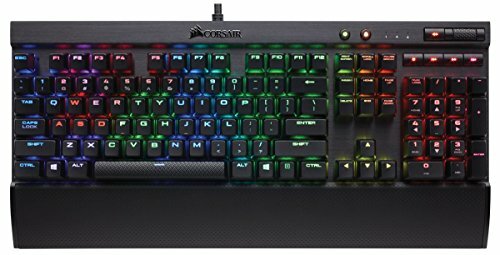 Pros: Corsair build quality is just amazing, the keys have a nice mechanical feeling, the RGB lighting looks good enough for me and the size is absoloutly perfect if you prefer to have more space on your desk. Cons: The super quick responsiveness is actually a bit frustrating at times and when playing mobas (dota) it is very hard not to press the wrong keys. It gets better when you get used to it though, but it took some time for me. Definitly not the right choice if you wanna type a lot though, you will have a ton of typos. A great keyboard. I love the clear switch housings and the MX Speeds are a very good switch. The media keys are great and CUE isn't actually that bad. Probably the best keyboard I'll ever use. The sound is just loud enough to hear over my headphones and it's really pleasant to look at between rounds. The media keys come in handy and so does the rolling volume slider is perfect. It's also easy to clean. Colors are bright and the wrist rest is comfortable. I will never go back to a membrane keyboard again! 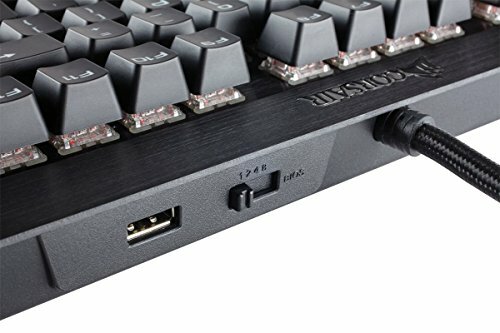 This has made typing so much easier and gaming just a tad faster, but most of all I don't need to use much force to push a key and my hands never get tired or cramp anymore. Even if it is the cheapest model I highly recommend any keyboard with CherryMx keys.